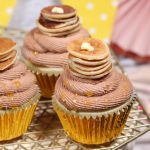 It’s no secret that I follow a fair few cake related accounts on Instagram! 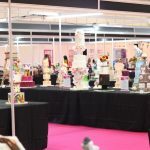 It’s the perfect way to keep up to date with the latest cake trends, products and anything going on in the baking world! I get a real sense of community; with everyone sharing eachother’s work, gaining inspiration and having the opportunity to try out the latest products. 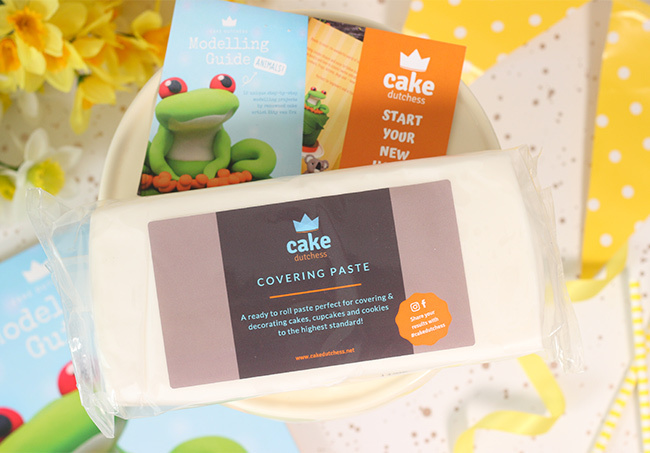 I was recently selected by Etty van Urk AKA Cake Dutchess To try out her new covering paste! 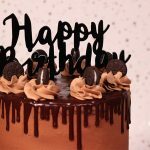 All she wanted in return was for me to create a cake, using the covering paste to cover it, and post to Instagram with a little honest feedback. I received the covering paste along with some black shiny sugar pearls; which are perfect to use as eyes to give more personality to animals and models you create to decorate your cakes! 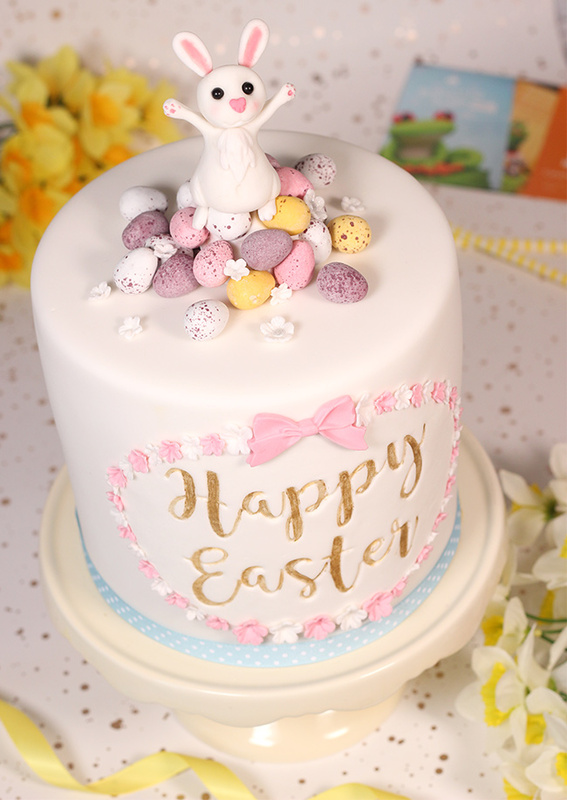 I had a few ideas and kept changing my mind until I settled with an Easter themed cake complete with a cute Easter Bunny cake topper and a handful of Cadbury Mini Eggs! 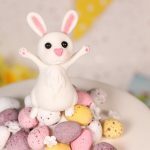 I used the black sugar pearls for the bunnies eyes and was so pleased that they didn’t need any other details added. They really add to the over all cuteness of my creation! So, back to the covering paste…I opened the pack and got to work on kneading. 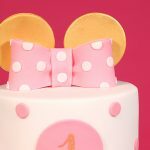 I found it totally different to the regular fondant I use to cover my cakes. It’s really stretchy and pliable. 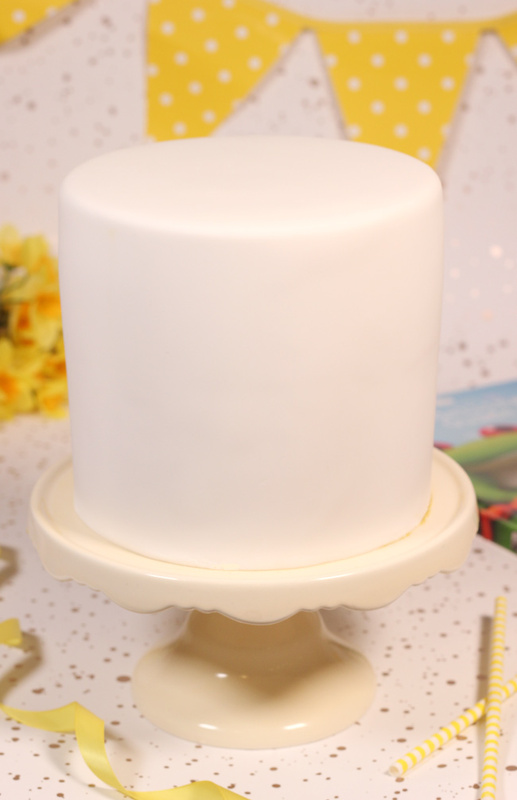 I wanted to test the paste on a tall cake and I have to say, I was very impressed! It has a LOT of give, which meant I could pull it and it would stretch rather than tear (no more elephant skin!!) 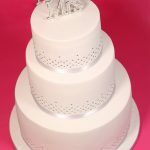 The benefits of this is that you can work with the paste longer to achieve the smooth coverage and get those sharp edges on your cakes! Once I was finished, I was left with a perfect blank canvas to work with! 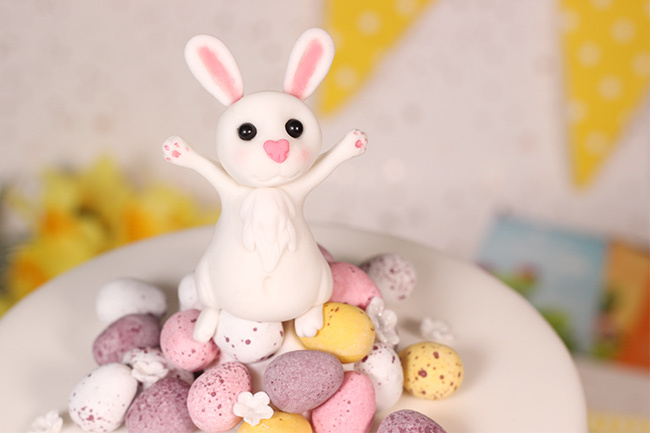 After popping off to my local newsagent to pick up a bag of mini eggs, I returned home to get to work on my cake topper; a cute lil Easter Bunny standing proudly on top of a mound of eggs! 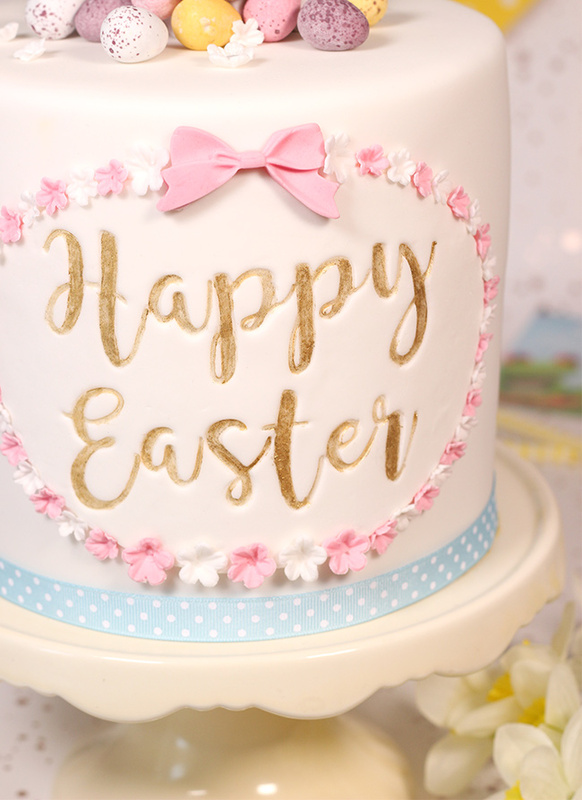 I created a plaque on the front of my cake using the covering paste too, along with a set of my Sweet Stamps to emboss “Happy Easter” (I was toying with the idea of “Hoppy Easter” but decided to stick with my earlier idea!) 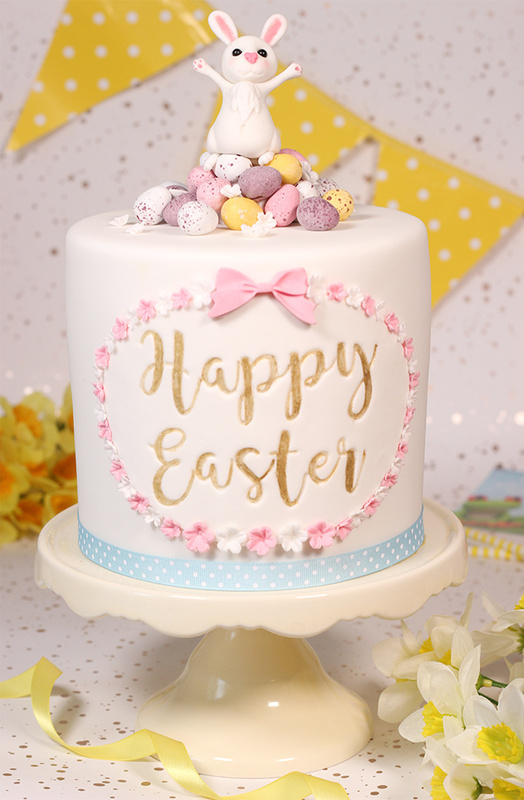 The paste really stands up to being moved and attached to the front of the cake as well, which is fab! 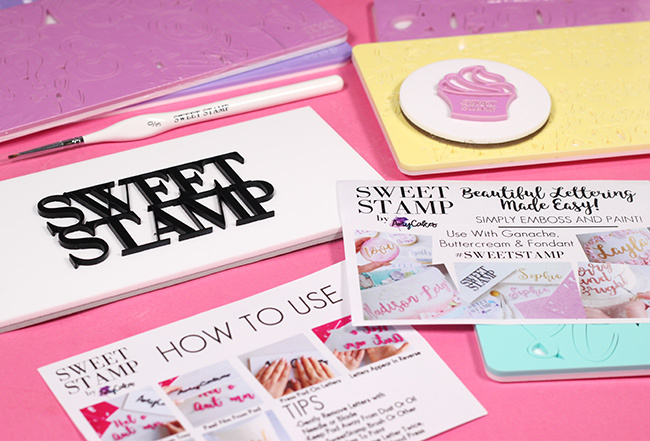 I’d usually use a modelling paste for creating plaques as this medium usually holds it’s shape much better; so I was really pleased that I could use this paste – it’s so flexible yet tough! And here’s my finished cake creation! 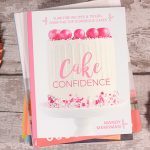 I’m so pleased that I had the opportunity to try a different product to cover a cake and I’ll certainly use this covering paste again! 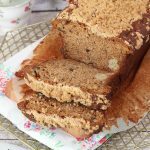 If you would like to give this or any other Cake Dutchess products a try – head on over to her shop here! 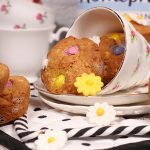 She kindly sent me a discount code to receive 10% off in the web shop; simply enter sugarpearls10.